Mike Leake has millions on the line. As of right now, we are just over 24 hours until the non-waivers trade deadline, and Mike Leake is still a Cincinnati Red. The Blue Jays' acquisition of David Price is a blow, as the Jays had been connected in the rumor mill to Leake over the past few days. Now, that's at least less likely to happen. I'm sure that there still are suitors out there for Leake, and odds are that he will be moved. But if I were Mike Leake, I'd be nervous. Mike Leake is a very solid pitcher. He has been routinely worth between 2 and 3 wins over the past three seasons, and can absolutely be a valuable part of a contending team's rotation. But he's not an ace, and will always have to answer skeptics due to his smaller size profile and low velocity. He doesn't rack up strikeouts. He gets ground balls, avoids walks, and fields his position well. A free agent this offseason, Leake has earned a pretty nice payday. I think he can reasonably look for a 3+ year contract at $10-13 million per season. 2016 will only be his age-28 season, and he has no history of injury, so I think clubs will be happy to pay him to lock down 180+ innings per season. Aside from a late-season injury, there is really only one major pitfall that could derail his payday: compensation. 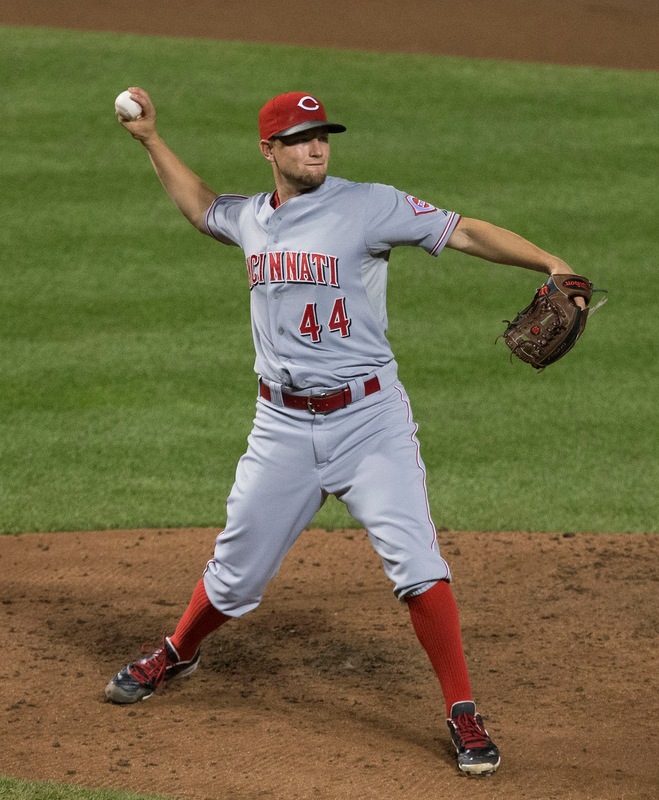 If the Reds fail to trade him, they will have the option to make him a qualifying offer, which will be somewhere close to $17 million for one year. If he declines, then whatever team signs him will have to give the Reds their first-round draft pick in the 2016 draft as compensation for signing him. If the Reds trade him, however, the team that acquires him cannot receive free agent compensation. I like the principle of compensating teams who lose free agents. The problem is that bonus to the team losing the free agent is paid by the team that acquires him. Therefore, the acquiring team has to include the loss of a first-round pick as part of their calculations of how much they're willing to spend. As a result, many mid-tier free agents in recent years have had a hard time finding a job, and ultimately had to accept a below-market deal, as a result of this compensation pick. It directly cuts into their potential earnings, and ultimately has kept players from playing baseball. So, if I'm Mike Leake, I would tell the Reds front office that I intend to accept a qualifying offer. No player has ever actually accepted this offer (which boggles my mind), but even the threat of it might spur the Reds to action. Bronson Arroyo commented that he'd strongly consider signing a qualifying offer as he approached free agency two years ago. The Reds opted not to make an offer, and Arroyo went on to sign a 2-year, $23.5 million contract with the Diamondbacks. If I were Mike, I'd make the same threat. The Reds would most likely respond by either trading him now, or simply not making the offer this fall; I'm guessing that they are still too cash-strapped to risk it. And letting Leake walk without getting anything for him would be completely unacceptable. That leaves trading him as the most viable solution. Whether he'd actually accept a qualifying offer, in that scenario, is another question. The threat might be all that matters.